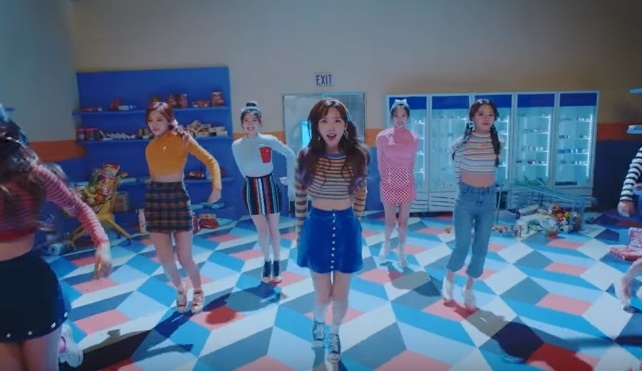 The music video for Twice’s “Heart Shaker” has been watched more than 200 million times on YouTube, following in the footsteps of the group’s previous singles. The group’s agency JYP Entertainment confirmed Thursday that the video, which was released in early December last year, surpassed 200 million views on YouTube on Wednesday night, becoming the fifth video from the group to reach the 200 million threshold. Another of the nine-piece band’s singles “TT” became the first video by a female K-pop act to reach 300 million views last December. Earlier last year, the group’s songs “Cheer Up” and “Ooh-ahh” surpassed 200 million views in August and November, respectively. “Likey,” another single from the group, also joined other hit tracks in reaching 200 million views in March. From its debut single “Ooh-ahh” to “What is Love,” Twice has rolled out eight music videos with over 100 million views.